As to keep a foot in the 20th and its klezmer and jazz music(s), the Gefilte Swing were formed in December 1999. Back then, it brought together a singer and four instrumentalists: a sax-clarinettist, a trombonist, a guitarist and a contrabassist. Later the band grew bigger and many musicians came, passing on their energy. The sound also changed, from gypsy to a spirit more closed to klezmer orchestras and small swing formations of the 30’s. 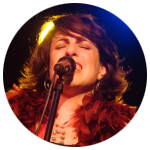 With an instrumentalist formation (classic formation and pop-rock guitar), Missirlou was raised to the sounds of jazz and classical music, before learning singing. Embracing a cultural Ashkenazy heritage, she got interested in the Yiddish songs’ repertory. She joined Jacinta’s choral who was a real mentor to her. Through her teaching she became aware of a Yiddish way of singing. She ended up submerging herself in Yiddish itself and its literature. Beside the Gefilte Swing, she plays in a jazz quartet and in solo (world music, French song…). She’s always anxious to give of traditional music an interpretation that feeds on other cultures. With an early passion for jazz clarinet, Alexandre Litwak listened to great jazz clarinettists as far as copying them. He also took classical music lessons. They allowed him to complete his technique and sonority. His favourite style? in-between wars music. After forming, directing and arranging for many formations closed to this musical genre, he created the Gefilte Swing in 1999. 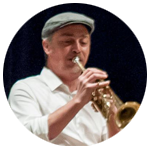 Laurent Vassort won the trumpet price at the Conservatoire régional in Aubervilliers. He teaches musical instruments playing, solfege and musical initiation. Beside the Gefilte Swing, he plays in jazz and funk orchestras. He thus brings to the band energy and joy, without which klezmer music would not really be klezmer. 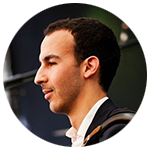 With a passion for gypsy jazz and tango and previous member of a Balkan ensemble, he had to meet the Gefilte Swing! After a degree in chamber music and in musical formation, Wilfried also followed a year of intensive formation at the CNIMA Jacques Mornet, an accordion school in Auvergne. Today he is studying at the CRR of Aubervilliers with Frederic Guérouet. There he takes an improvisation masterclass with the great jazz accordionist Ludovic Beier. 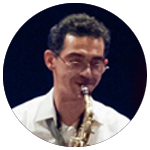 For 20 years his heart swings back and forth from architecture to soubassophone. In 2009 he helped in creating the brass band “Grand Marabout”. 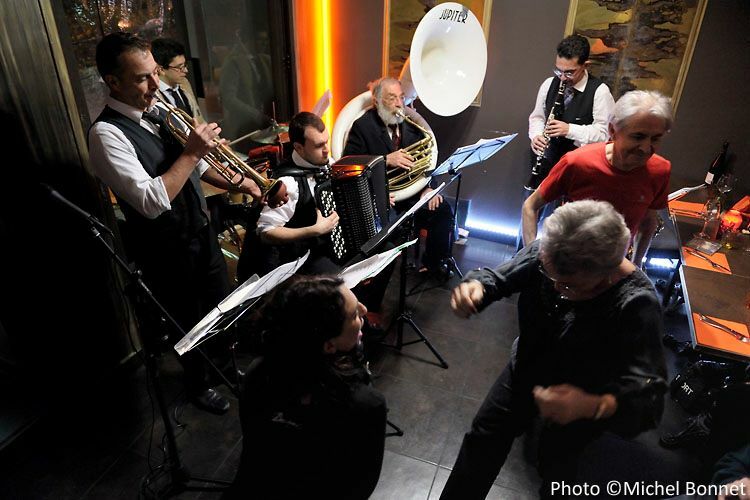 That was the beginning of a successfull musical career split between the Kio Cirko brass band, closed to the circus scene ; the Gabriella Balkan Brass Band ; the Ulitza Orkestar and the Ziveli Orkestar (Balkan music) At the same time he carries on his formation with the great François Thuillier. 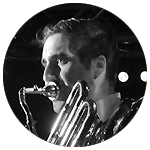 In 2016 by joining the Gefilte Swing he enjoyed jumping the gap between Balkan and Klezmer musics. 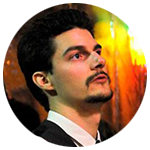 Sound-engineer Clément Moraux studied the drums but also piano, guitar and bass at the Clamart music conservatory. The drums quickly became his first passion, so much so that them became his second occupation. He thus joined rock-pop-roc, salsa, afro-beat, samba and funk formations and, finally, the Gefilte Swing.